Looking to grab a position in Bank, TNPSC or Central Govt Organization? There are plenty of graduates wasting their time searching Core related Jobs. But it is very common to know that only 10% of them will be getting their desired position and most of them are end up their search by taking IT sectors and BPOs’. They might not have heard of Banking Sector & Govt Organization Recruitment. There is a Huge opportunity in Banking Sector & Central Govt organizations, where unemployed could shine. Every year almost 65 Competitive Exams have been conducted with the motto of placing potential candidates for various positions in Bank, State, and Central Govt Organizations. We RACE Coaching Institute, spreading awareness about Bank, Govt Vacancies by conducting Career Awareness Program since 2012. We have opened the eyes of many unemployed youths and guided them to the right path. We are very excited to announce you GRAND TALENT ORIENTATION PROGRAM has been scheduled to make awareness about Bank & Govt Org. Recruitment between the aspirants and unemployed youths. The Program is to be conducted in Erode and Coimbatore Branches. It is the great opportunity for the aspirants to know about Competitive Exam Recruitment procedure, Job Nature, Eligibility, Pay Scale and Allowances, Promotions etc. Bank / Govt Exam aspirants can also attend this program to know How to Crack Bank & Govt Examinations. Our Experts will be revealing strategies to crack SSC, Bank and TNPSC Examinations with ease. 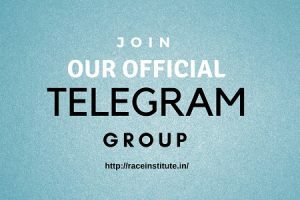 This is a FREE Program has been initiated and organized by RACE Institute at Public Interest. No Entry Fee. Open to all. Erode All about Banking Sector – Special Session by Mr. RAJ KUMAR, Senior RACE Faculty, YouTube Analyser. TNPSC – Earth and Universe (Geography) session by Mr. Venkatesan, Revenue Department, Chennai, TNPSC Group II Interview Post Topper. Coimbatore High-Level Reasoning Session (for Banking) by Mr. Naresh, Senior Race Faculty, YouTube Analyser. All about TNPSC – Special Session by Mr. Surya Prakash Ramasamy BE., ME., MISTE., B.Lit. (TAMIL) TNPSC Co-ordinator, Chennai. Aspirants who attending this event could get handful of following Study Materials at free of cost. 6) Upcoming Exam Annual Planner Handouts. Aspirants will get a chance to reserve a seat in upcoming New Batch. You may also do spot enrolment or inquire about RACE Institute coaching strategies in Admission floor.